How is Celtic Astrology different. This is a question I’m often asked so here is a potted description of the main tenets of Celtic astrology and tree signs. Celtic astrological symbolism is derived from Druidism, a form of religion that believed that trees are sacred havens for spirits. The only written form of this religion left by the Druids are the Ogham glyphs (pronounced Oh-m). The Druids inhabited the British Isles in about 1000 B.C. The Celts saw the universe as resembling a tree and their lunar calendar depicts 13 moon phases with a particular tree, based on its perceived magical powers, designated to each lunar phase. A Celtic Zodiac will correspond to the particular tree designated to a particular personality and is marked by the influences that the tree is said to have on the sign. A reading based on Celtic astrology will give a detailed interpretation of the sign designated by the Celtic zodiac, lucky colour, letter, month, flower, gemstone as well as the ruling deity, animal and planet. It can also reveal class, polarity, and an eminent personality born under that sign. Druid astrology, also known as the Celtic Astrology Tree, uses a zodiac that is based on a moon calendar comprising thirteen months, each one characterized by a tree. Individuals are characterized by the particular tree assigned to the month in which they were born. Each individual tree is associated with the ancient and mystical runic alphabet, the Ogham. 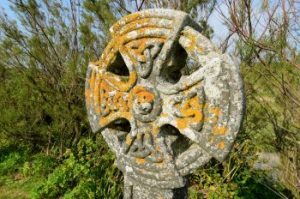 Celtic astrology, also known as the Druid Sign, originated from the Ogham which, unlike Western or Egyptian astrology, is comprised of 13 zodiac signs. According to the Celts, hidden matters of the subconscious mind are represented by the moon and the conscious mind is represented by the sun. The moon is believed to be where the subconscious mind holds the true knowledge of past lives. Celtic astrology makes use of the lunar calendar to unlock memories and other mysteries from past lives. Once past life knowledge has been “unlocked", an individual can build on the accumulated knowledge from many lifetimes. The Celts, like other ancient tribal cultures, lived in harmony with and respected nature. Druidism believes that all living matter consists of energy and this belief transcended the physical world to the supernatural. They believed in oneness and that balance had to be created between two opposites, symbolized by the joining of female and male energies. Another aspect of Celtic Astrology is the use of animal symbols to represent the conscious mind. Used in conjunction with tree signs, animal symbols, form a bridge between the subconscious and the conscious mind. The Animal Zodiac is known in Western astrology as the rising sign. A Celtic tree on the Celtic calendar is designated to an individual according to the month of birth and each one is given a meaning. Celtic animals are assigned, in the same way, according to the Animal Calendar. Each sign has a meaning specific to the energies attracted and bestowed upon an individual born under that particular sign. I hope that if in future you are asked ‘how is Celtic astrology different’ you will have a better understanding.